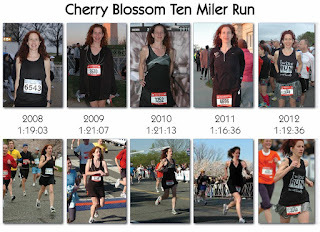 I just applied to be a Race Ambassador for the Credit Union Cherry Blossom Ten Mile Run (CUCB). 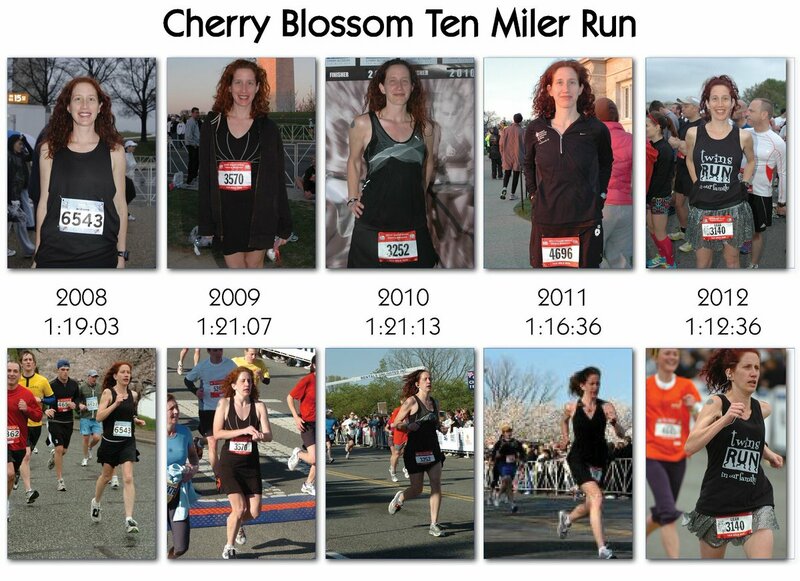 When I searched the race results, I realized that the first time I ran the race was in 2008 which means the 2018 CUCB will be the 10th anniversary of my first time running the race. Wow! When I think about all the miles I've logged, injuries I've endured, and fun I've had training and racing over the past ten years it's hard for me to remember my life before becoming a runner (sort of like recalling life before having children!). I'm regretful that I don't have a CUCB streak and it's not because I didn't get in the lottery. When I ran the best race of any distance in my entire life at the 2012 CUCB, I made a conscious decision to not return in 2013, 2014, or 2015. I knew I would never run a race as fast or as satisfying on that course again and I wanted to end on a high note. It seems sad and silly now that I denied myself the opportunity to enjoy one of the best races in the country just because I was afraid I'd feel like a loser for being slower than my 2012 performance. In 2016 I finally gained some perspective and decided to return to my favorite race in DC. Yes, my finishing time was 7 minutes slower, but I was even happier than when I ran a PR because I appreciated my experience running the race. Each mile is a gift and I don't want to let low self-esteem, fear, or doubts keep me from running or racing again. I'm determined to document my training for this race on this blog regardless of whether I am chosen as a Race Ambassador because I have lots of tips, stories, and insight to share! I've been volunteering for the Charlottesville Track Club for almost as long as I've been running and I've gained a lot of experience from managing our local ten miler training program to directing a marathon that I created. I'm excited to motivate others to find the joy in running (and racing! ).